Yet the holidays can be stressful for many, and downright traumatic for some. Supposedly there is magic in the air, but the holidays can be reminders of times that have not been so good. Supposedly they’re an opportunity to embrace your family, but for many, family is estranged or not so close. Whether on purpose or just because. The holidays are the times to hug your loved ones tight, but if you’re in the middle of a breakup or in the throes of heartache, they can reflect back to you and magnify the emptiness you’re struggling with. As a rule, you might hate the holidays. You might stress yourself out and just want them to be over. You can brace yourself and let the time pass, and they will be over. But so will your life, if that’s how you get through things. I’ve got a different solution for you. I’m of the mindset that every day we have is a gift, you are a miracle no matter what, and even if the holidays aren’t your thing, it’s my hope they don’t have to be as painful as they may be (even if all you tend to do is fight with others over the holidays). This year, improve your relationship with the holidays by focusing on 3 simple things. That means saying no to parties you don’t want to go to, no to family members you don’t want to appease, and no to obligations you consider awful and would rather not be a part of. It means identifying for yourself how much of mainstream commercialism you genuinely wish to participate in. Are you buying gifts because you feel like you have to or because you truly want to? Are you giving to organizations out of obligation or have you found causes you truly believe in and wish to see flourish because of the good they are doing in the world? It means saying yes to yourself, time for yourself, and allowing these dark days to bring you the opportunity for quiet reflection so you can get clear on your desires and what you will create in the new year. It’s up to you, and you don’t have to wait for a new year or long December nights to practice this creative process nor do I advise that you do, but if you aren’t already gifting yourself with the opportunity to really tune into yourself and what you wish, now is a great time to start. 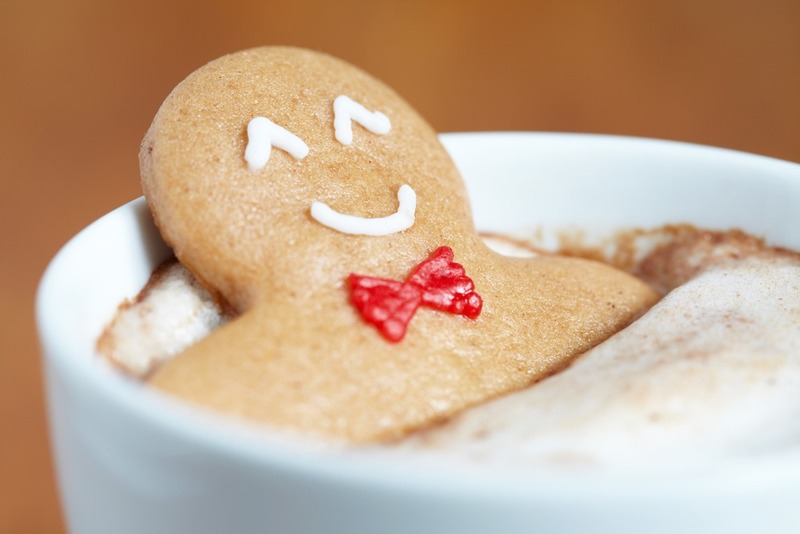 If the desire to enjoy the holidays from this year moving forward resonates for you (and why wouldn’t it? ), set the intention and prioritize feeling good this season above anything else. Sounds selfish, I know, but you’ll be a brighter light in your world as a result. I often have a hard time giving this advice because if someone is really struggling and in pain, telling them to “count your blessings” is not the most empathic or encouraging comment. That being said, if you are struggling or in pain this holiday season, if you have lost someone or if you have never felt that you’ve had someone and doubt you ever will, know first that if you feel like you will always be alone, that doesn’t have to be your truth. Decide you will attract wonderful people into your life, and focus on all of the wonderful people you’ve known, and all of the great people who are already under your nose. A client of mine, let’s call her Jane, has been madly in love twice, once in her teens, and also more recently (she’s almost 40). The more recent relationship just ended, and she’s heartbroken. She has been in quite a few relationships over the years, some long term, but only these two have set her on fire. When her more recent relationship ended, she was devastated, in part because her heart was broken, understandably, but additionally because she was convinced she would have to wait decades before finding another partner about whom she felt so passionate about, if she’d even find one at all. She was hopeless, and all she could see was darkness, sometimes even questioning if her life was worth living. Consciously and with effort, she started counting her blessings, looking at all that was going well in her life (which was a lot), as well as appreciating the quality relationships and friendships in her life that she did had. Soon enough, bracing herself, she started dating again, and sure enough, she found that there is a lot more fish out there in the sea than she could have imagined. She discovered that the passion she believed she could only feel for her two past partners and a future one decades away was always within her. …like Jane was before she gave it a whirl, think about all those you’ve met, do you have any fond memories? Any people in your life that you love, regardless of how often you see them? Instead of focusing on all that’s not working with the people in your life, count your blessings around the people who are and have been in your life. Secondly, look at all of the things that are going well for you. There are an infinite number of them, for starters, you can read. Challenge yourself to come up with even more things you can be grateful for, and enjoy them, even if it’s only for a few seconds at a time. Practicing gratitude and simply appreciating what is are secrets to living a fulfilled life. 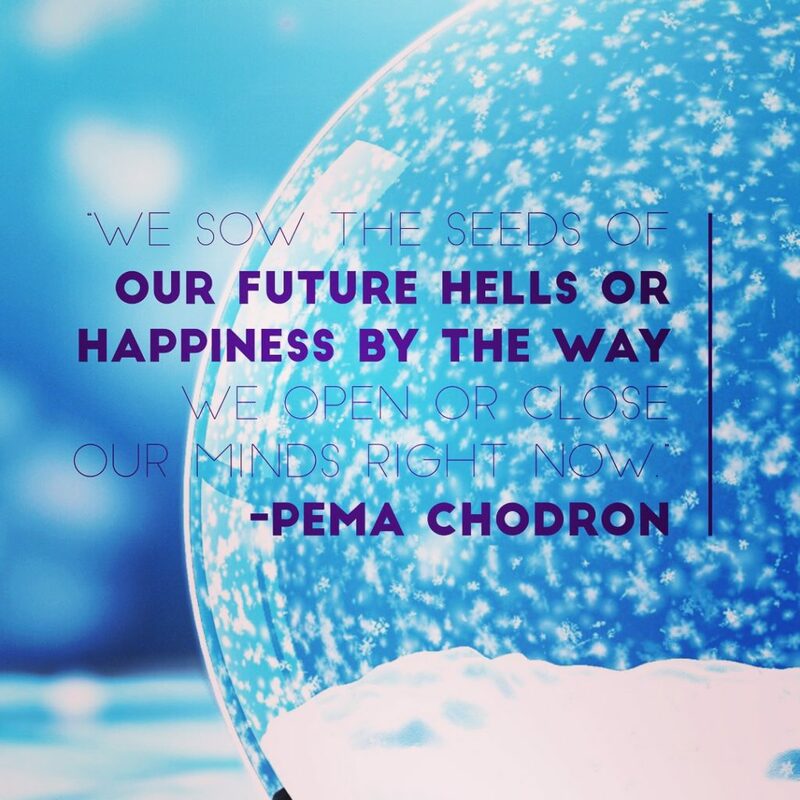 Chances are, when you consciously shift your focus, you will start to notice a domino effect of goodness in your life, over the holidays and beyond. There’s so much we all take for granted, take stock of it all and notice how good you really have it. Enjoy it for as much as you can tolerate right now, and start to watch the effects multiply. At the end of the day, what really matters to you? So many people stress themselves out about the holidays. I get it, there can be a lot to do if you choose to. We do this to ourselves, though, right? Don’t allow yourself to be a holiday victim. You are better than that! If you find yourself stressing out about the holidays, take a step back. All the glitz and dazzle is there for fun, to make the times extra special, extra enjoyable. Only participate in that if it truly adds to your holiday experience. Always keep front and center what really matters to you. Is it making the absolutely most perfect gingerbread cookies possible? But if it’s not, don’t worry about that. Care about what you care about and don’t bother with the rest. Forget societal pressure, it’s nonsense. Do you, count your blessings, and keep your priorities front and center. Embrace those you love, and if you are alone, make it your intention to bring people in closer, so that your next string of holidays will be spent with those you love. Give them that gift of you, and I hope you enjoy it too. Here’s to improving your relationship with the holidays, may you enjoy this time of the year no matter what!